I skied every month of the year last year, this year I have waxed each month. I haven't skied in July or June, but today is August 1 and and I am going skiing tomorrow! I have always had a good ski quiver, but this year a goal of mine is to have a really good quiver. 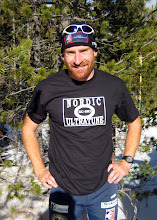 I worked with Mark and Nordic Ultratune to touch-up all of my skis with fresh grinds for the 2010-2011 ski season. I have a big ski bag this year but feel good about everything that is it. I am really looking forward to trying the new pair of zero skis Salomon sent earlier this week. they are a bit shorter (201cm) and softer that what I have used in the past. I flew up to Anchorage, AK yesterday thanks to my United Airlines credit card miles and $10. My good friend and college roommate Paul picked me up from airport. Paul is the man. He picked me up right on time and brought me back to his place for some left over steak and potatoes. Something about flying and airport food is that pretty much the first thing I want to do after flying is go get some regular food. After a quick lunch we wasted no time and headed out for a run/hike up O'Malley. I love being back in the mountains. We are going to try and fly in to the glacier this evening and get settled before getting after 7 days of solid training. Casey and Erik are up on the Eagle getting everything ready. It is overcast and drizzling in town here, but Casey sent me these photos from his iPhone from last night. Thomas Training Center, ready for skiers! I hope skiing is going great.. Beautiful pictures!! Hey Brian! It looks like we're both spending time in the mountains in the middle of August. Your photos are amazing - I look forward to more! Good luck with your training. Looks like you definitely can't get enough of the snow! Awesome views there of Eagle Glacier. Must have been a great time and a good opportunity to get some skiing in. I noticed in a few previous blogs you went to Valleyfair, it's right in my back yard and my all-time favorite amusement park. 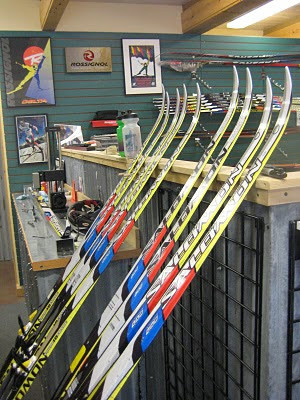 Hope those new skis worked out.